The “puppy room” in our new shelter will serve not just for pups, which we don’t expect to have terribly often. 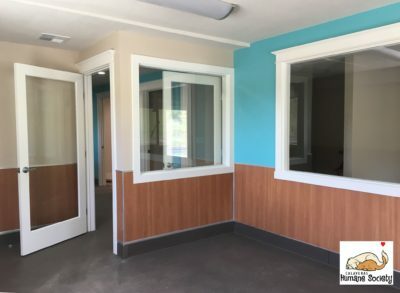 It will also serve as an indoor playroom for one or two dogs on warm or rainy days, as an additional get-acquainted room for potential adopters, and as a “deluxe suite” for dogs who are with us for longer periods of time. CHS is a 501(c)(3) organization (Tax ID # 94-2581703). All donations are tax deductible to the fullest extent allowed by law. Calaveras Humane Society Proudly powered by WordPress. Customized for Calaveras Humane Society by Cyndi Kirkpatrick.